Elite Pools is headquartered at 300 East Lombard Street in the historic downtown section of the inner harbor of Baltimore, Maryland. 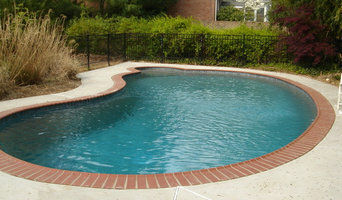 Elite Pools is a family owned and operated company that has been in business since 1959. We build both residential and commercial inground pools and spas. Currently our business spans the Mid-Atlantic to include the Delaware, Maryland, Pennsylvania, Virginia and Washington D.C. pool contractor market. We are proud members of both the Better Business Bureau with an “A+” rating and the Association of Pool and Spa Professionals. With our own in-house licensed pool contractors, we are able to answer any questions that may arise. Our Elite professionals have over 100 years combined experience. Unlike many other pool builders in Maryland, Virginia or DC,, we believe in the “old fashioned way” in which we do most of the work ourselves. We have established dedicated relationships with our pool subcontractors to create a team atmosphere. We build each and every pool as if we are building for family. We stand behind our work and back it with a lifetime forever transferable pool shell and underground plumbing warranty. Our primary goal is to make sure your custom swimming pool will be an asset to your home and a great source of pleasure for you and your family for many years to come. Thank you for visiting Elite Pools and we hope to add you and your family to ours. Contact us at info@elitepools.com or call 410-808-6988. We proudly serve the entire Baltimore, Maryland, Washington, DC and Virginia area. Hohne Pools - "America's Pool Builder"
About Hohne Pools, a leader among Maryland pool builders, was named one of America's top pool companies by Aqua Magazine. Trusted pool builders since 1954. Mission Established by Leroy “L.C.” Hohne in 1954, Hohne Pools stands for: The finest pool products in the industry A priority on customer satisfaction Excellence in pool design and engineering We’ve handled more than 8,000 pool installations. From the beginning, we’ve focused on serving you, our clients, with professionalism. To this day, Hohne Pools maintains strong roots in Maryland while serving clients worldwide. Our Staff: Experienced Pool Professionals Hohne Pools has employed the top pool installers in Maryland throughout its 60-year history. Our staff includes experienced pool construction professionals – hard-working men and women who take pride in their work. The experience they bring to the Hohne team is what makes a Hohne pool a well-built pool. 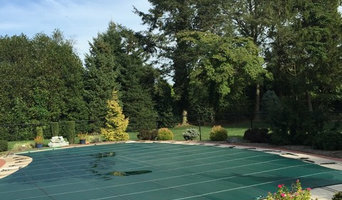 Company Overview For almost 60 years, Hohne Pools has been the pool builder Maryland trusts for distinctive luxury swimming pools, hot tubs, and pool supplies. We believe the best pool builders combine an eye for pool design and a dedication to client satisfaction. What exactly do Chatham pool builders do? If you are planning for a new pool in Chatham, PA, a swimming pool builder will analyze your outdoor space and your aesthetic wishes to determine an appropriate design for your yard, installing it once the plan is developed and approved. Once installed, some pool companies in Chatham, PA can handle the necessary cleanings, water testing, renovations and equipment replacement or repairs for your pool or spa. If not, many can also suggest Chatham, PA swimming pool contractors or maintenance services to help with upkeep or repairs down the road. Here are some related professionals and vendors to complement the work of swimming pool builders: Garden & Landscape Supplies, Landscape Architects & Landscape Designers, General Contractors, Landscape Contractors, Solar Energy Contractors. Before hiring a swimming pool construction company to create your new Chatham, PA pool, determine how you'll be using it. Will it be for fun or for lap exercise? Will the primary users be children, adults or a mix of the two? Knowing the use can help you find Chatham pool builders who shares your aesthetic. 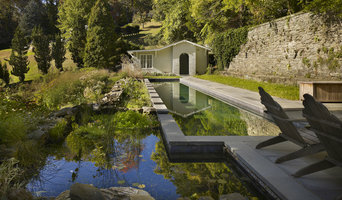 Once you find swimming pool builders in Chatham, PA who share your style, research is critical. Review customer references and comments, collect at least three to four estimates to compare, meet with potential Chatham pool designers and builders in person and ensure that they are Pennsylvania certified service professionals and licensed with the registrar of contractors before making any final decisions. In addition, get a sense whether they plan to complete the pool installation and be done with it, or whether they seem interested in building a long-term relationship with you. Be wary of the former: it's likely a reflection on the level of quality of the pool construction they do. Find a Chatham pool contractor or designer on Houzz. Narrow your search in the Professionals section of the website to pool builders in Chatham, PA. You can also look through Chatham, PA photos by style to find a pool or spa you like, then contact the local pool company who designed it.